Everyone loves GIFs. They’re everywhere — and there are plenty of resources online for transforming video and photo sequences into the GIF format. But what about doing it straight from Adobe Premiere Pro? Here’s how to make it happen. GIFs have become a part of everyday internet life. They’re used to tell jokes and replay sports footage. With Facebook’s new GIF messaging feature, you can take a reply one step further than an emoji with a GIF response. Most importantly, GIFs have become an integral marketing tool for brands — especially films and studios. Why post a still image when you can post a three-second sequence? Take the GIF below from the Batman v Superman: Dawn of Justice Facebook page. The post has a conversion link for people to buy tickets to see the film. While a still image would have done the same job, a GIF certainly keeps eyes on the post a lot longer. 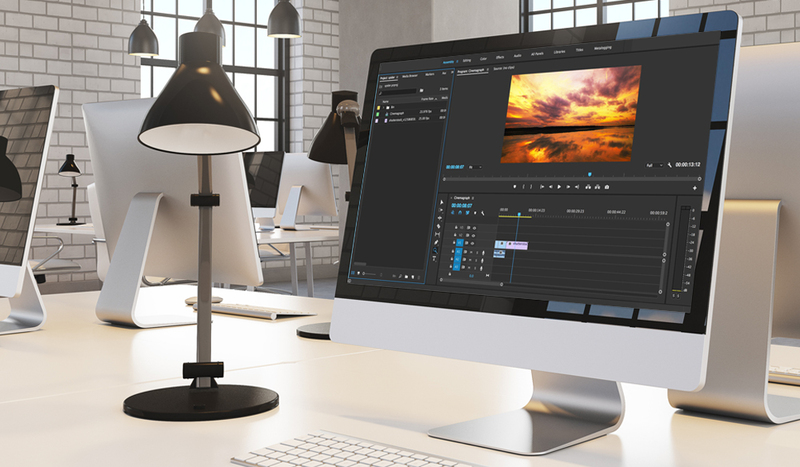 There are a lot of websites that can transform your video sequence or photo sequence into the GIF format, but what about doing it straight from Adobe Premiere Pro? Here you will have complete control on what to render out into the GIF sequence. Creating a GIF out of Premiere using a PC is a very easy task. Just follow the steps below. Find a short sequence within your timeline that you would like to export into a GIF, and set your work area in and out points. Select File > Export > and then in the drop-down menu, choose the Animated GIF format. Adjust your settings to match your project, especially the FPS and Field Order. If you don’t change the Field Order to progressive, your footage within the GIF will look like an interlaced video. Here’s the final result. Easy, right? That’s all there is to it. As Facebook and Twitter have integrated GIFs to work within the timeline and newsfeed, GIFs and social networks can be powerful tools to share snippets of your latest project or showreel. The big studios have taken advantage of this feature — now you can too. If you’re using Premiere Pro to create a GIF on a Mac it is, unfortunately, not as simple as selecting Animated Gif in the exporting window — you actually have to use Photoshop or a third party software. Personally, my favorite way to create a GIF on a Mac is to use GIF Rocket, a free third party application. 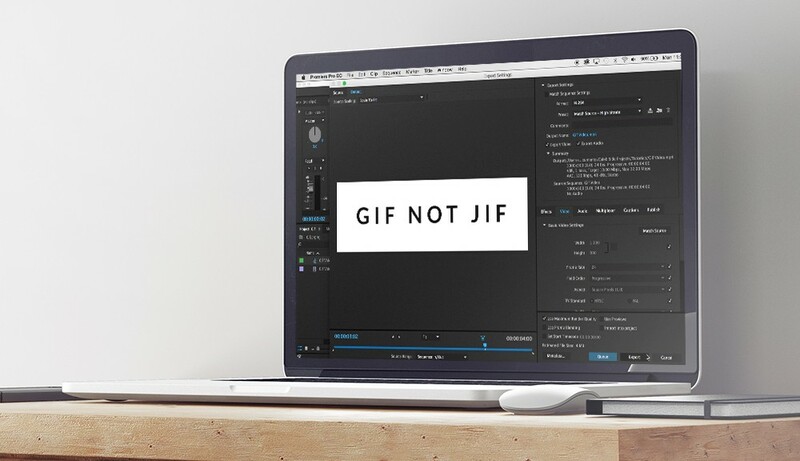 The following step-by-step tutorial will show you how to create a GIF using this workflow. The first thing you want to do is export your video out of Premiere Pro. GIF quality tends to be much worse than typical video, so I actually recommend using just a typical h.264 format when exporting your video. It’s also important to trim out any unnecessary frames from your finished video. After you’ve adjusted your settings, click Export. Open up GIF Rocket and click the small gear wheel. You will see a few easy-to-adjust settings. Simply select the quality based on your desired file size. I typically will use the medium-quality setting. Drag and drop your exported video into GIF Rocket and your GIF will be automatically created. That’s all there is to it! Using both a Mac and PC you can easily convert videos to GIFs in just a matter of seconds.